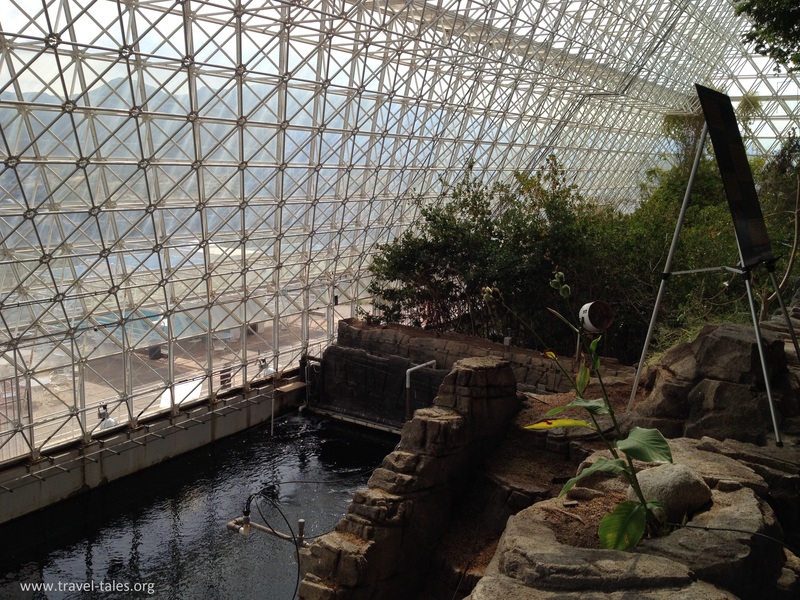 There are five separate biomes in the biosphere – Rainforest, Ocean, Mangroves, Savannah and Desert. We walked through each and were introduced to recent or current experiments taking place in each. In the rainforest section a carbon-cycle experiment was carried out to measure how and where carbon is recycled through the plant growth process. Research into plastic eating microbes was carried out in the Ocean section with the aim of finding a way to tackle the Pacific Garbage Patch. In the Mangrove area, among the plants growing there, blue tubs were used to test equipment and plants to be used in the LEO project outlined further down.